One of the most beautiful moments in the process of getting to know these strong ladies is the joy of being allowed an opportunity to take them home. It is my favorite assignment. After spending months getting to know the women at the Maternity Center, it is a blessing to enter into their space and sit with them in their homes. Sometimes we are rushed and we simply say a quick prayer and get back on the road. Other times we sit for a long while and get to meet the whole family. 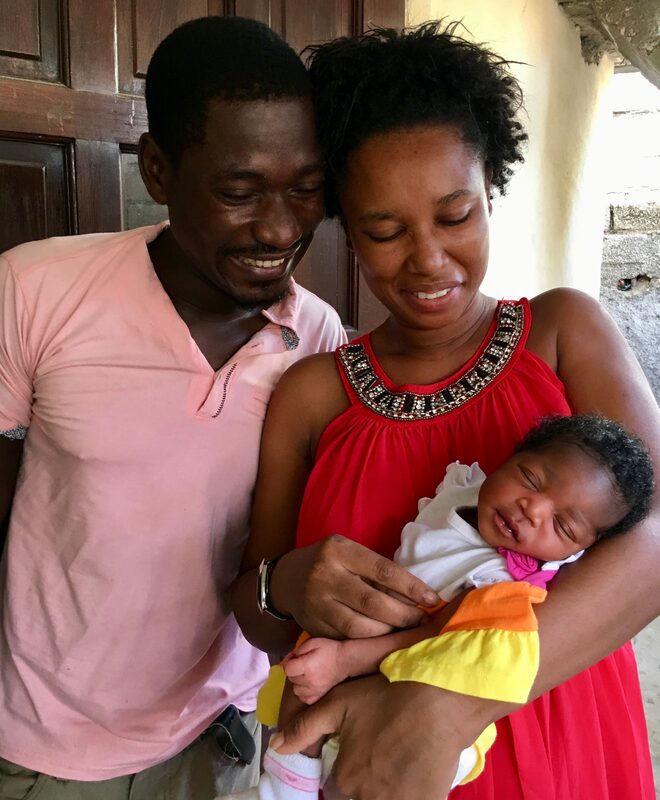 When we take the new momma home, we have overcome the inherent risk of pregnancy in Haiti, the large risks of giving birth, and we are past the initial days of learning breastfeeding. It is a joyous occasion, one worth celebration. It used to be intimidating to me to wind deep into neighborhoods uncertain if I’d ever find my way out. I remember averting the job of discharging and transporting in the beginning, leaving it to others whenever possible. Avoiding visiting their homes saved my heart from pain, their suffering and living situations are difficult to see. Truth be told, it’s much easier not to see it up close. Something changed once I recognized that sorrow and joy and pain and triumph all constantly dance together. They are a paradox far too intertwined to experience one without the other. While it might bring a measure of heaviness, I now know what an honor it is to be on their turf, to see and experience life sitting in their chairs, in their homes. It can be culturally and socially awkward, but as we sit there all fidgety and unsure and we are willing to be a bit uncomfortable together and allow that awkwardness, it almost always builds relationship and trust. I won’t ever fully comprehend the lives of these precious families – but they allow me to peek in, they allow me to see the paradox dancing, and that in and of itself is a gift. Part of what we hope to do during our time with the women that pass through the Heartline Maternity Center programs is to offer them an unusual comfort and kindness. Bringing them home, instead of having them take crowded public transportation is one way we can love and comfort them. The word comfort is from two Latin words that mean “with” and “strong.” God is with these women and He makes them strong. He is with us and He makes us strong. 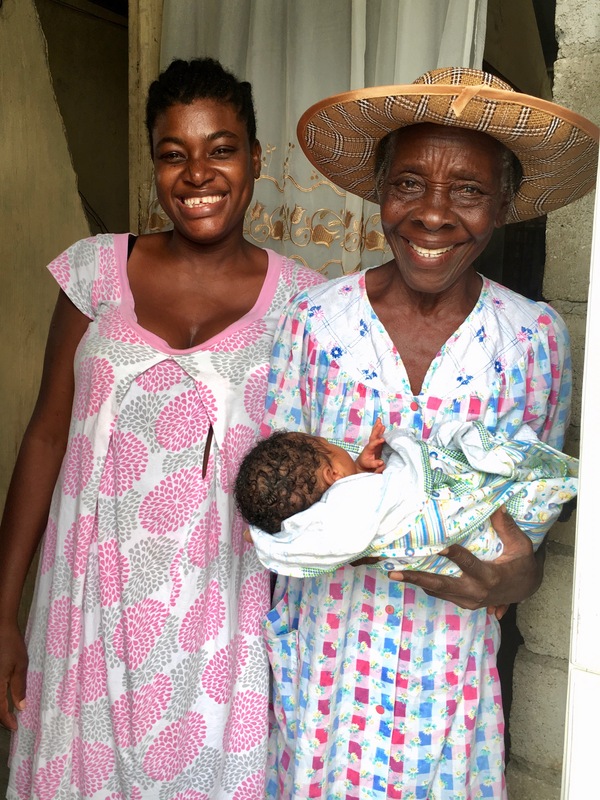 Amy Carmichael said, “Comfort is not a soft, weakening commiseration; it is true, strengthening love.” I hope that sort of comfort is what Haitian women are experiencing as they are brought home after giving birth. Thank you for reaching out with love to comfort and strengthen families in Haiti. We are forever grateful for your support and partnership. By giving to Heartline today, you can help us extend strengthening love to more families in Haiti. Without your involvement, what is the breastfeeding culture in Haiti? With your involvement, how long will a mom continue to nurse? It thrills me to see your breastfeeding encouragement. Hi Kathy, Thanks so much for taking the time to read! Great questions. Without our involvement, it is common for a materially poor woman in Haiti to believe that she cannot produce enough milk for her baby. Many women may try but give up fairly quickly due to this belief. Often, women are significantly dehydrated because water is hard to come by in Haiti, which causes them to not produce enough milk. We do a ton of education on breastfeeding, including nutrition classes and teaching the moms that drinking a lot of water will help their milk supply. It takes weeks and weeks of classes and seeing the proof (other materially poor women in the program with happy, healthy, fat babies!) to challenge the pervasive cultural beliefs and get the moms on board with breastfeeding. In our program, women sign an agreement that they understand that we ask them to exclusively breastfeed for the first 6 months of their baby’s life. Many of the moms in our programs actually end of breastfeeding the whole first year or eighteen months. There are certainly challenges, but we’ve seen lots of progress in how long women nurse and their belief in their ability to nurse. Thanks again for your support and encouragement! Excellent! We should do so well in our hospitals.